The research was completed by Sofia Chambi-Trowell, an undergraduate in Bristol’s School of Earth Sciences, as part of her final-year project for her degree in Palaeobiology. 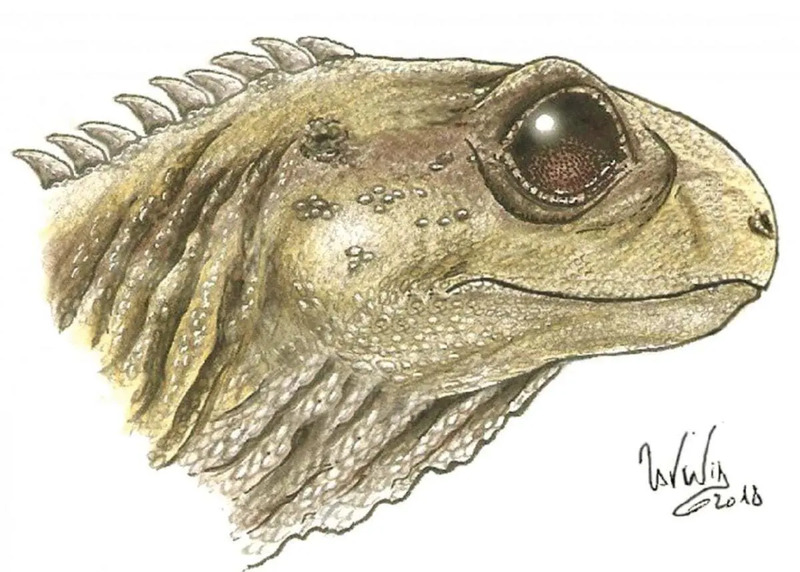 Sofia said: “I found that Clevosaurus cambrica was smaller overall and had a narrower snout than Clevosaurus hudsoni. 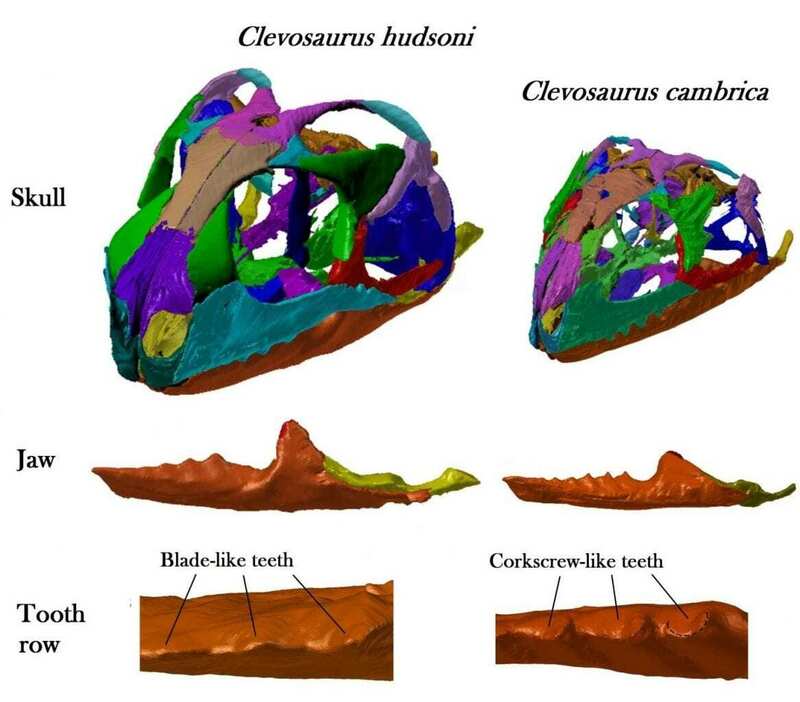 Skulls of the two species of Clevosaurus, showing the difference in size, and the differences kin the teeth kin the jaws — blade-like in Clevosaurus hudsoni and corkscrew-like in Clevosaurus cambrica. Credit – Sophie Chambi-Trowell. Professor Mike Benton, one of Sofia’s project supervisors, added: “Sofia’s work is a great example of how modern technology like CT scanning can open up information we would not know about. Her other supervisor, Dr David Whiteside, said: “Two hundred million years ago, Bristol lay much further south than it does today – about the same latitude as Morocco. “Also, sea level was higher, so the peaks of limestone hills south of Bristol and in South Wales were islands, like Florida today. Header Image – Life image of Clevosaurus. Image by Sophie Chambi-Trowell.